Like most of the cartoons of this time frame, the show had a laugh track. 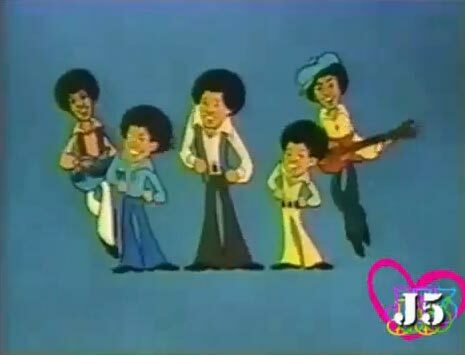 It was produced by Ranklin/Bass and Motown; no Hanna Barbera here. The first episode guess starred Diana Ross (her real voice), as well as Barry Gordy (not his real voice) who understandably had a recurring role. Michael's fascination with weird pets apparently began at an early age as a few of them made it into the show. There was Rosie the snake and Ray and Charles his pet rats. They never talked on the show by apparently Michael understood them. 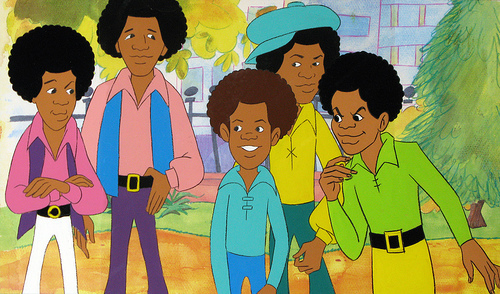 The cartoon ended in 1973 but that didn't stop the popularity of the Jacksons as you know. They started a live-action show in 1976. This is the greatest cartoon I've ever seen and I admire it so much since it was posted on YouTube. I was very excited when I heard it was released on DVD on January 15 2013 and I already have it right now! I LOVE U MICHAEL JACKSON !!!!!!!!!!!!!! !